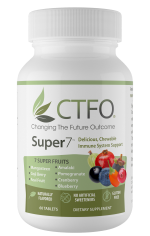 CTFO Online Visitors Program – 💗 CTFO, Inc.
CTFO Online Visitors is a powerful, amazingly effective advertising and team-building solution that levels the playing field. It is as close as we can possibly get to automatic business building, while earning commissions at the same time! Want a real job working for yourself? Since this is your business, and as with any business, there is a promotional cost. That cost will come in either dollars or elbow grease. There is no in-between. It is a mix of both activities. For example, if someone has a large contact list and are savvy with the web, they can aggregate their email contacts into one list and send them their CTFO links, and they can go crazy posting and sharing all over different social media platforms. That is “elbow grease” which is manually promoting yourself. This may be enough to refer hundreds of people, or it may not, in which case CTFO Online Visitors can fill in the gaps. PROs know that network marketing is relationship building. A PRO knows that at first, a business, any business in any industry, has to put a advertising budget in place. A PRO will get on autoship with the largest Online Visitors pack budget allows, and have another means of funding it without depending on the biz itself. As members join, they set a block of time to call each and every referral to simply introduce themselves and share their excitement and offer their availability. The PRO will do this over and over not looking back or chasing, or re-calling anyone except to return a call. Never call a member who hasn’t responded either by taking action (referring and/or purchasing) or calling you back. Make a commitment, and treat it like a business. PROs are already committed to the end result. Get on autoship with the largest Online Visitors package budget allows and make a commitment to follow up with each and every new referral. It is just an introduction and sharing what you like about the biz. You will talk to maybe 2 people for every 10 calls you make, half will go to voicemail, and 2 or 3 will be dead numbers. It’s easy. Just have to face your fears, and when the money starts coming in consistently, it is a piece of cake by then. That is your new “job” for your own business, where you are the boss (that’s actually a double-edged sword). Get on yourself to get it done or put yourself on toilet duty, or go clean those dust bunnies from behind the fridge. De-lint the back of your drier. I actually did those things early on to avoid calling people. Even edged my lawn once for the first time in 3 years, instead of calling my growing list! Back then though, I was prospecting and trying to convince them to join. Those times are over, as now when you call, they are already a part of your customer network. Modern technology rocks! Power of this method lies in the fact that the viewer sees a “hemp opportunity” not just a free business, or a form for more info, or have to enter email address to view a video, all of which produce little results. They come in for Hemp Oil, and to make money, and that is exactly what they get. When you call, they are usually pretty excited to hear from you. It’s awesome! 150 Visitors and two Super7, my favorite pack!